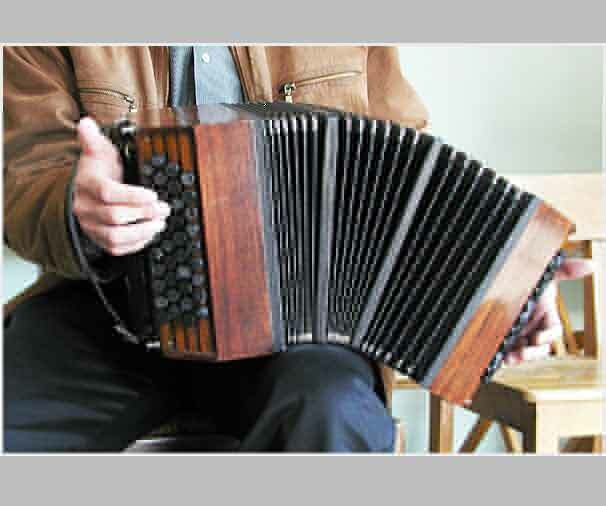 The randomly chosen term "Hybrid Bandonion" marks the successful attempt to combine the c-system of the accordion with the basic features of the bandonion. 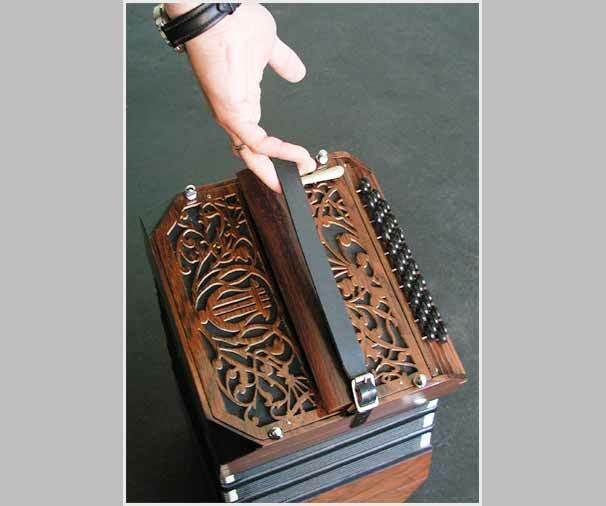 The placing of the keys is different from other uni-sonoric and bi-sonoric instruments. The more or less frontal position, as well as the straps attached to the wrists, allows you to play with all of your 10 fingers. A certain loss of stability has to be admitted, but it is easily compensated. Optionally a neck strap can be attached to both of the middle frames. 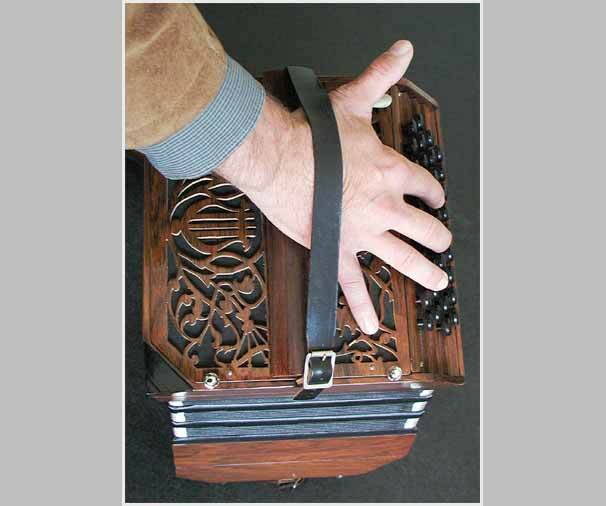 Supporting rows of keys are not provided in order not to make the instrument too heavy or to influence its tone (expanded housing for the mechanics). Since the middle of the eighties I have been concerned with the theoretical instrument making. I have been dealing with existing, newly developed and rediscovered schemes of the huge family of free reed instruments. The prototype of the hybrid bandonion was completed in 1992 by Harry Geuns. Serial production started in 2003. Here you can have a look at several pictures of my hybrid bandonion !